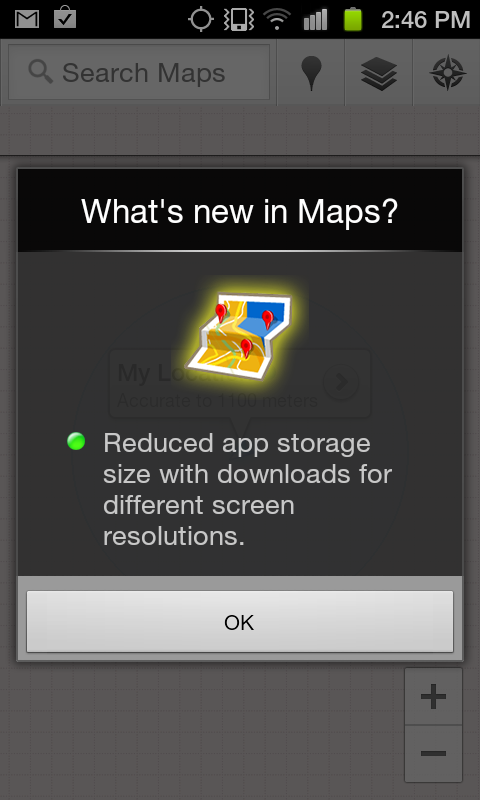 As I looked in my market for app updates this morning, I noticed that Google Maps was listed as having the ability to reduce downloads of maps for different screen resolutions. 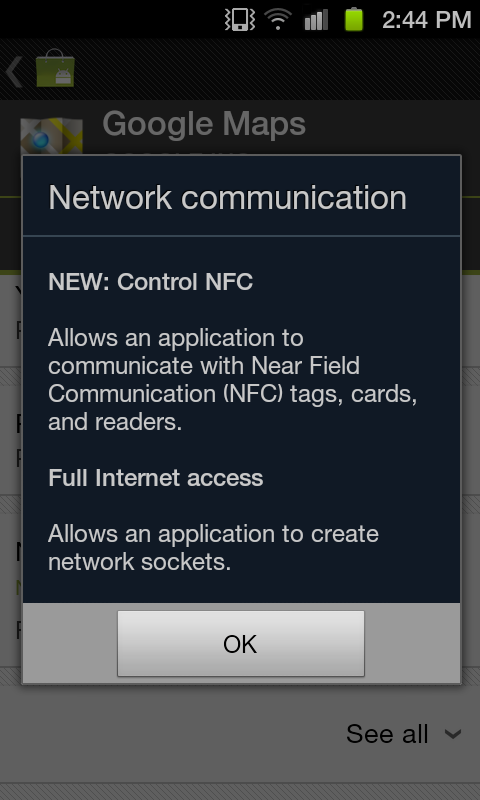 Seemed pretty minor until I clicked “Update” and noticed that a new permission was included : “Control NFC.” As you may recall from the Ice Cream Sandwich event, the Galaxy Nexus and Beam will be able to share Google Maps information via NFC. 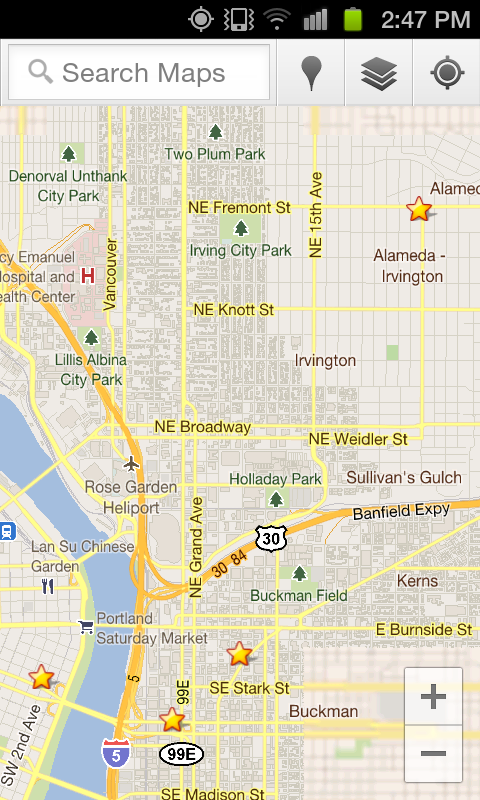 Now your G-Maps can too – well, if you have one of the few NFC-equipped phones that is. 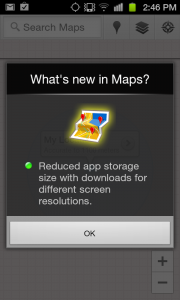 And not until your phone gets Beam or some other NFC type of app that can utilize this permission. OK, so we got a little too excited over a simple permission. That’s what ICS will do to a person though. Oh, they also changed the zoom in/out buttons to a more eye-friendly and minimal box layout.